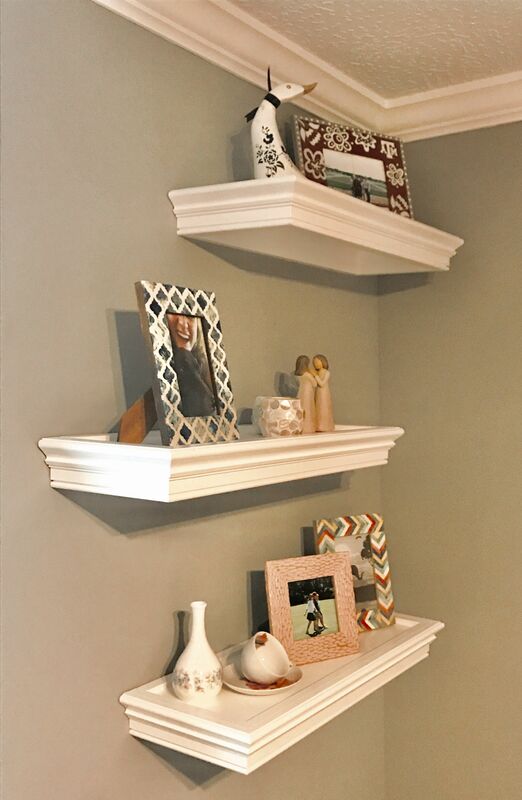 Wooden floating shelf with custom trim and fine details. Sold as a single shelf. Images show styling options. Can be used for decoration or organization/storage. This made-to-order floating shelf can be customized in size and color, simply get in touch with us. Prices may vary. Shipping costs will be finalized prior to ordering based on your location and total number of shelves.